Sinead studied Psychology at IADT, with a special interest in Online Advertising and Human Computer Interaction. She is really passionate about communication and the user experience. As well as managing the day to day workings of RedFly, Sinead is digital marketing strategist, client liaison and project manager. In the organic search listings you’re probably familiar with Sitelinks. They are the collection of links that appear below the search result for your website, and they link to the main pages of your site. Sitelinks are there to help users navigate your site. They are created by analyzing the link structure of your site to find shortcuts that will save users time. Though they are generated automatically, if you are unhappy with these automatic links you can delete some or all of them using Google Webmaster Tools.Depending on how specific the search term is these Sitelinks are sometimes displayed on one line or across four lines. For example when searching for the broad term “broadband” one line of four Sitelinks appears below the first search result, and searching for the brand name “Vodafone” displays eight Sitelinks across four lines. Sitelinks give your organic search listing more prominence in the results, and can also expose more of what your website has to offer. It’s not surprising therefore that Google have decided to introduce this feature to its paid results. Ad Sitelinks allows ads that appear in the top positions (ads with a very high quality score) to have as many as five links in their ad. This includes the main landing page as well as four additional links which appear beneath the ad text. Initially Ad Sitelinks was a feature introduced for brand specific searches only, but now you can enable this on more generic, unbranded campaigns. Depending on how specific the search term is the Sitelinks will appear either as one line or two lines. For example when searching for “broadband” the 3 Broadband ad that is triggered has one line of links below the ad text, and searching for the brand name “3 broadband” will display this ad as having two lines of links below the ad text. Ad Sitelinks will only appear when ads qualify for the top positions, however you can still enable this feature in preparation for a time when your ad will appear in a top spot. With Ad Sitelinks enabled, if your ad appears in the right hand side of the search results, it will appear in the same format as you are used to. For example, the ad below is the same ad triggered above in the search for “3 broadband” but now that it is no longer in the top spot the Ad Sitelinks do not appear. Sitelinks don’t cost any extra in comparison to ads without them. Also, the costs per click do not differ depending on whether someone clicks on the main ad link or any of the Sitelinks. Additionally, if a users clicks on more than one link while viewing your ad you will only be charged for one click. You will find the option to set up Ad Sitelinks in your Campaign Settings tab, under the “Ad extensions” section. To change which ad extension you are viewing, there is a drop down menu labelled “view” (directly underneath the campaigns tab) where you will see three options – “Local extensions”, “Phone extensions” and now “Sitelinks extensions”. If you choose “Sitelinks extensions” you will now be able to click “+ New extension” which will open the next step in the process. Ad Sitelinks is a campaign level setting, so the first step in setting them up is to choose an existing campaign to assign them to. As this is a campaign level extension you should take note that all of your ads in that specific campaign will have the Sitelinks assigned to them, so choose your campaign wisely. Make sure that the Sitelinks you setup are specific to the entire campaign. The next step is to choose the link text (35 characters max), and the destination URL (1024 characters max). The text and URL follows the same rules as the rest of your AdWords account, so for example the URL must direct users to a page from the display URL website being used in that campaign. You can add between one and ten Sitelinks for each campaign, though only four Sitelinks will be shown, which ones are shown will depend on the keyword that triggered the ad. If the campaign you are writing the Sitelinks for is a generic one it is more likely that the Sitelinks will appear as one line of text, so it is best to submit short and relevant link text. However, if the campaign is very specific e.g. brand focused, the link text would be displayed across two lines and can therefore take up most of the 35 characters without seeming cluttered. Once you have saved these Sitelinks they will then appear listed in the “Ad extensions” section, with associated performance data such as clicks, impressions and CTR. When choosing what campaigns to assign Sitelinks to, remember that this feature is being assigned to already highly successful ads and as with any new AdWords feature, you should make sure to regularly check their impact. The best method of monitoring the performance of the Sitelinks is to create two identical campaigns, and enable Sitelinks for one, but not the other. You will then be able to compare the performance with Sitelinks and without. It is currently not possible to see individual link level performance data from within AdWords, but using the tagging feature of Google Analytics you should be able to see what links were clicked on. Unlike the Sitelinks in organic search, Ad Sitelinks gives you complete control over what links appear, giving you the opportunity to offer multiple landing pages to the user. Thus you can choose to provide text and links to other persuasive pages on your website. It is still the ad’s main Destination URL link that is taken into account when determining the landing page quality for individual ads. This enables you to utilize already successful AdWords campaigns to promote additional lower performing products or brand new products. However, Google suggests that you choose Sitelinks that are relevant for all your ads and search terms within your campaign, and to avoid attaching irrelevant links to your ads. As in the example below, the keyword “broadband” triggers the ad and the Sitelinks used all relate to broadband products that the company provide. However, with regards to a branding campaign you may have a keyword list related to all areas of your business, therefore you could certainly use Sitelinks to promote lower performing or new products. For example, the keyword “3 broadband” triggered the ad below, however the Sitelinks relate to three other products (and product pages) that this company offers. Ad Sitelinks make your ads stand out even more by giving your ads more real estate on the all-important first page of search results, with Google indicating that early users of the feature had reported on average a 30% increase in clickthrough rates. Some brands are even experiencing a 15-40+% lift in brand PPC sales YOY! If you’ve already been bidding on branded keywords you’re likely to have been sending traffic to your homepage, and in this case it’s difficult to determine what the user was actually searching for. With Sitelinks you have the ability to offer multiple landing pages to the user, so searchers can choose the landing page that’s most relevant to them, which increases the chances of a conversion. Sitelinks also give you the ability to include extra text in your ad. The extra text could either be used as an additional description line, linking to special offers or product benefits, or for promoting other products/services. If you use text that accurately describes the link, you increase the likelihood of a conversion. You can read the transcript of an interesting talk at SMX on supercharging your sitelinks here. When creating your Sitelinks take into account the most popular ads already running in your campaign. Focus on the text from these ads and their associated landing pages that have the highest conversion rates. Linking to already successful landing pages will further increase the conversion rate of the clicks on your Sitelinks. You can check out some interesting examples of sitelinks in use here. TIP: Brad Geddes has another creative use for ad sitelinks. Add your phone number to one of your sitelinks to increase your “call through rate”. If you’re advertising a local business, create a sitelink with your phone number as the anchor text and the destination URL being your site’s contact page. Though Ad Sitelinks may improve your clickthrough rate it’s important to utilize them in a way that continues to bring highly targeted traffic to your site. Monitoring the conversion rates of campaigns that use Sitelinks is essential to determine if they succeed for you. This is a great post! Kudos to Sinead. Dave, you have made a great hiring decision. All the best! Hi Sakis, thanks very much for the feedback. What’s a “very high quality score”? 8 and above? 9 and above? Or just 10/10? Hi Cormac. Thanks for your comment. 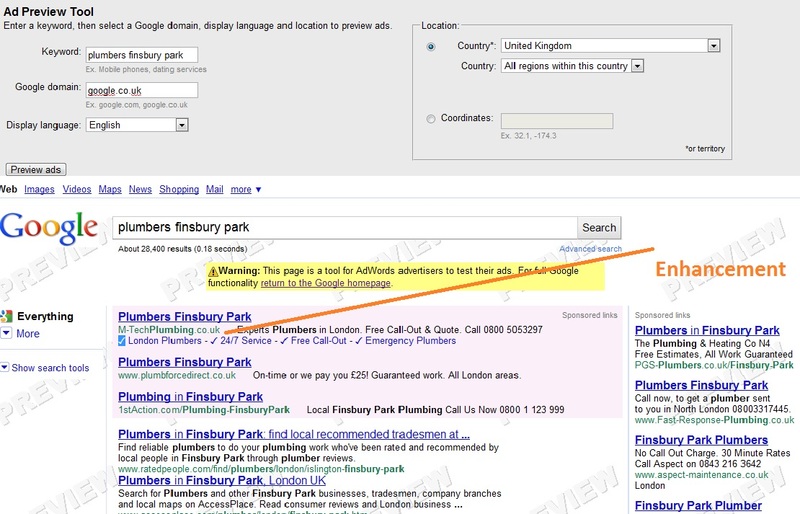 As long as your ads already appear above the search results, you will qualify for ad sitelinks. Getting your ads into these top positions is done through a mixture of high quality score and your CPC bid, it all comes down to who ranks higher versus your competitors bids/QS. Google doesn’t tell us exactly what QS you need to achieve to get into the top ad positions, all we can do is assume that the QS must be 10, or at least higher than that of the competitors bidding for the same keywords. I hope this answers your question. All the best in the new job Sinead. Great post. Very helpful read. Cheers Louise, it’s going brilliant so far. Hi Sian, thanks for the feedback. Let us know how you get on with the new extension, would be interested to see if it improves conversions/ctr for you. Great blogpost Sinead, I haven’t been testing out this feature yet but will be sure to do so now :) Well done. Hi Lisa, thanks for the feedback. Good luck trying it out. Glad to hear you are now on the road to Corporate Stardom! Great Adwords post by the way. It’s been 2 years since my own Adwords campaign (which was successful) but I hear that the effectiveness of Adwords campaigns are losing ground of late.I’ll be keeping an eye open for more under the radar stuff from you in the coming months.Incidentally recognised your Photo in your Facebook Ad as a Twitter Patriot.Keep it coming! Hi Robin, thanks for your feedback. I’m very much settled in here at RedFly and having been using AdWords on a daily basis for a long time I can’t say I’ve noticed a decrease in the effectiveness of PPC/AdWords. Though there are of course far more options out there these days for advertisers (such as Facebook, like you mentioned), but imho none offer the highly targeted relationship between the search user and the keyword marketer like PPC/AdWords does. Do subscribe to the site for more great guides such as this and thanks again for your comment. It certainly merits some mucking around with. I just wish they had not made it a campaign level option. I don’t have many campaigns where one set of sitelinks will suit all my ads! Hi Jordan, yes it really is a pity that all of the Ad Extensions are only available at campaign level for now. Hopefully AdWords will expand up this in the future. Thank you Sinead, for that insight into Ad sitelinks – unfortunately, it is out of reach for me at the moment, due to the cost of adwords advertising, so I still have to hope for my site to do well so i can have organic sitelinks! Hi Cisco, thanks for your comment. You know, even with a small budget AdWords can definitely work for you, all you need is a very highly targeted campaign. That way, all the traffic that does end up at your site will be highly targeted and will be more likely to turn into a conversion. Also, with AdWords you have great control over your budget, especially the prepay option – so at least you know you won’t run up high costs. Great article Sinead. I’m currently using ad sitelinks on my branded campaigns, but I’m going to give them a try on all my other campaigns now as well. Hoping to see a nice CTR blip! Hi Dillon, thanks for the feedback and good luck applying ad sitelinks to your other campaigns. I was wary of the Ad Extensions features but have set up some Sitelinks to run in my next campaign. How about a post on the Locations and Phone extensions next? Hi Brendan, thanks for your comment. and we’ll look into the phone extensions one. Thanks for that. I’d never come across Ads Sitelinks before (although I leave PPC to the professionals! ), so it’s good to know. Nice post Sinead. As always RedFly have come up with a comprehensive and informative post. Hi Mat, thanks for your feedback. I’m glad I’ve been able to live up to the high standard Dave has set here on the RedFly blog. Thanks Sinead. I haven’t had huge success with site links in the past but will have to try them again as traffic increases to see if there is a benefit against the space being used for other valuable text. Hi Aaron, thanks for the comment and good luck with trying Ad Sitelinks out again. Very informative.. Had come across Ad Sitelink option on Google interface but did not try to explore the same. After reading your blog things are clear and can use for couple of campaigns. Hi Sayed, it’s great to hear that you’ve read this guide and will be now trying out this new feature. Good luck! Hi Paul, yeah it’s great to see Google releasing lots of new Ad Extensions. Hopefully some of the newer ones will be available to us here in Europe soon. Nice post, it’s good to see Google continue to hide the organic listings :) – the integration with Google product reviews (tested in the US at the moment, don’t think it’s available in the UK) is really interested. I have segmented data for sitelinks and it’s pretty strong at being able to advertises discounts etc. As you say, great for branded search, when you don’t know exactly what the user is looking for, you can just show your top performing pages. With Google local extensions, sitelinks, product reviews, Google may actually get organic right to the bottom of the screen. Hopefully the will give organic something and role out a better version of rich snippets soon. Hi searchbrat, while I don’t necessarily agree with you that Google are hiding the organic listings I do see your point about how Ad Extensions can add some extra clutter to the SERPS. Hi Stelios, yes we only just touched on the idea of using Google Analytics with Ad Sitelinks, so thanks for adding a useful link here in the comments. Hi Mat, this is indeed pretty clever but I think this might be a feature Google is testing at the moment as I have seen these checkmarks before, as well as small arrows too. Only time will tell if this is a new formatting option to be rolled out soon. Could you clarify for me how Adwords charges for these sitelinks? The scenario that I have in mind is, I right click on one sitelink and open it in a new tab, and click on another sitelink. Would the advertiser be charged for two clicks? Hi Heta, thanks for the question. You are only charged for one click. Which is great if a search user does indeed click more than one link. Hi Sinead good article, im inclined to agree with search brat, it seems at times google wants us all on adwords. There is a lot of clutter on a given serp, if your coming from a non tech user point, the line between organic and other is blurry. I would love to know how much of an adwords user spike Google gets every time there is an algorithm update. Hi Derek, thanks for your comment. Great to see that RedFly has a psychologist on board. I’m already liking your insights. I’d like RedFly’s professional opinion on a question related to click through rate. Would you agree that when we focus specifically on our AdWords ads, the key metric we should optimize for is click through rate? I think many people like to also optimize their AdWords ads against metrics related to conversions, e.g., conversion rate, cost per conversion, and other metrics that are relevant to conversions. This, apparently, is why people like to set their AdWords campaigns to “Rotate,” as opposed to “Optimzie,” because the “Optimize” setting focuses on click through rate, and will automatically show the ad with the best click through rate more often. Wait, these people say. Instead, you should set your campaigns to “Rotate” so your ads are shown an equal number of times. This, they say, will allow you to consider other metrics. You’ll build up significant data for both of the ads in your AdGroup, allowing you to compare how the ads do regarding conversion related metrics, such as conversion rate, cost per conversion, etc. But is this the best approach? If you instead choose the “Optimize” setting, Google AdWords will automatically favor the ad with the best click through rate, and if you think this is the ultimate metric to optimize against, it’s an easy way to implement your optimization strategy. The may be the best approach, since it’s the users’ search queries that are triggering the appearance of your ads, and each search query has associated with it a conversion profile. Some user queries have commercial intent (e.g, “free range chicken buy online”), whereas other queries are research oriented and not likely to convert as well into customers (e.g., “what is free range chicken”). It might be argued that search queries should be optimized by conversion related metrics, but ads should not, because they are seen only briefly and have little influence one way or the other on conversions. If we take this approach, we would optimize our search queries against metrics that are relevant to conversion, and we’d optimize our ads against a single metric – click through rate. Lucky for us, we have data to show us which of the options are best. Since RedFly has extensive experience optimizing AdWords campaigns, I wonder what RedFly has to say on this question: As we evaluate AdWords ads and optimize, should we, (1) Concentrate our efforts on exclusively on click through rates?, or (2) Concentrate on click through rates, and only go through the effort of also looking at conversion related metrics for search phrases that take up a big percentage of our budget, because these efforts are not likely to yield results, or (3) Set all of our campaigns to “Rotate” so we can look at both click through rate and conversion metrics for our ads, or (4) Set our campaigns to “Rotate” and focus exclusively on metrics relevant to conversions? Based on the data RedFly has seen, I’d be quite interested in hearing your comments and advice on these options. Thanks for any advice you have! Thanks for your questions, but because all industries are different, there is never a comprehensive answer to questions such as the ones you have posted here, but I will give some advice with regard to CTR etc. You should never concentrate your effort exclusively on one metric. A combination of metric works best, for example looking at high CTR low conversion ads can mean a good ad but a bad landing page. With regard to setting your campaigns to “rotate” etc, you should experiment with this yourself, run a campaign for a 30 day period on “rotate” and then set the same campaign to 30 days on “optimize” and see what (if any) difference there was. This is the only way to tell, to see what works best for your particular account. Hope this helps a bit, if you’re looking for further help with AdWords, we do some work over on the Google AdWords Help Forum and highly recommend it as a place to post questions such as these. Hi Alex, thanks for the feedback, glad it’s helped. Very well written and explained. Good and helpful post. Thanks and keep posting. Would you have an idea how I remove unwanted and irrelevant google ads? thanks. Sorry John, I’m not 100% sure what you’re asking. This is probably a question best put in the AdWords help forum, but you’ll need to expand upon this quite a bit. Great article. Using the natural search sitelinks to explain the PPC side makes perfect sense to me. One question: can changing these ad sitelinks frequently have a negative impact on quality score? Hi Tony, thanks for your feedback. Ad sitelinks don’t have an impact on your quality score, so you could change these quite often for testing purposes, see which ones convert best. Thank you for sharing your knowlodge with us. Very good article with step by step guide. Hi Tiago thanks for your positive feedback. Excellent tip Sinead! I wonder if using this type of deep-linking ad campaign actually will help to get Google to create organic Site Links for your site? That would be worth the money! Hi Jon, as of the moment organic sitelinks are completely automated. Although, using Webmaster Tools, if you think that the sitelinks displayed for your site are inappropriate or incorrect, you can block them so that they no longer appear. So if Google reports getting on average 30% more clicks with Ad Sitelinks does it make sense to bid up to 30% more to reach these top positions. I am thinking if your ads show up in the 3rd of 4th position but you want to improve your CTR and QS it might make sense bidding a little more per click in order to be able to use this feature (even if your conversion rates aren’t immediately effected it seems like your QS will rise and you’ll end up having to pay less per click in the long run). Any agree/dis-agree? Hi there, to be honest, I would never recommend to increase your bid in an attempt to improve CTR or QS. If what you are doing now isn’t improving your CTR/QS, then spending more money isn’t a solution. Focusing on ad/landing-page quality would be a better place to put your time. This post is what I think I have been missing. I will start putting it to good use today and see how it goes. You’ve made it again. I appreciate it. Hi Michael, thanks for your comment. Hope Ad Sitelinks work well for you. Hi Trish, thanks for your feedback, appreciate it. Thanks Sinead – i’ve used this before and I agree it’s excellent for conversion. We’re still on the fence as to whether it’s improving clients sales’ but it’s definitely impacting on click through rates. Hi North Star, thanks for the feedback. I have set my site up with these links but goggle has not added them to searches for my website as of yet. Thanks for the comment, hope your sitelinks come into effect soon. Nice Post.Thanks for sharing it. Very useful post. Thank You. Thanks Yash, glad you found it useful. Thanks Sinead and Dave, this one helps my Landing Page. The problem is google banned my site due to their policy but when I went through their policy I don’t think my site doesn’t violates any of their policies. They said my site is into gambling that I have to make some chu chu thing there, and I told it is not about gambling, it is just about tips about an event…sigh, don’t even know what my next step…. Dave and I do some work over there and either ourselves or some of the other forum contributors would be able to give some more detailed advice with regard to this and other questions. The ability to allow the user to select the most relevant link and the advertiser to deep-link to the most relevant page is excellent. It’s good for UX and it’s good for the conversion rate. Location extensions are excellent too – if you have an extension for the user’s local area you immediately look more relevant. Hi Ben, I couldn’t agree more. Thanks for your comment. Sinead, I’ve been looking for this the whole time! I’m glad I found your article. I really find it very informative. Thanks for clearing these out for us. Thank you kindly Sinead – i’m a regular reader of your blogs – looking forward to the next one. I would recommended signing up to Google Webmaster Tools and submitting a sitemap of your site, this could help, but unfortunately Sitelinks are automated for now though you can remove them (if you have any) through Webmaster tools. Thank you so much for this information and for taking the time to share it with us. This is excellent information that will take us to the next step with our marketing! No problem, glad we could help. Hi, thanks for reading and bookmarking. You should subscribe to the rss feed. Glad you are seeing some success using Sitelinks. Hi thanks for your feedback, good luck with your AdWords campaigns. Wow. Thank you very much. I was unaware of Sitelink. Will be going over there now to set it up and make sure its relevant to my website. Hi Paul, thanks for your comment. Glad we could be of help to you. Hey very good tips there, I’m kind of a newbie to this and your posts really do help. Guess I’ve got a lot to learn and the indepth coverage of ad sidelinks does help. Keep up the good work! Hi Stephen, thanks for your kind words and good luck with your future campaigns. Great post, and great piece of research that ad sitelinks can be useful for increasing clicks on site page. Hi Rahul glad you found it helpful. This can provide additional visits/conversion without additional cost. And encourage websites to create highly relevant webpages that fits to their ad. Hi Jack, thanks for your comment, sitelinks certainly do provide extra visits to our landing pages. Great! Your information is very useful for my new being developed business. Did you find what I am talking about? Yes right, I am about to start my new online business then I will thank you again for this information after using your information. Hi there, glad you found it of interest. Hey Sinead! You’ve done a great job! I’m a little bit newbie here, but your article was easy to read and UNDERSTAND, what means so much for me! Now I’ll use AdWords also, as I do with Videolsalesletters. Hi Hanna, glad to hear it. Thanks for the post…really great! Hi Greg, we’re glad to help. We always care about search engine features. Now we must say thanks for you for this good potential to perform our site. that is simply great Sinead. from my experience, almost every ad click goes to head, so it’s quite hard to get good ctr with those site links. Works differently for everyone across different industries, my advice would be if that it doesn’t work for you simply don’t implement them anymore. So my issue is this: I don’t see any way to tie the site links to their respective conversion data. This seems silly to me and I suspect I may be missing something, but I can’t find it and it’s driving me mad. Do you know how to drill down and reveal conversion data from site link traffic? Seems like the kind of thing Google are probably working on because it really would be helpful to discern the conversion data on sitelinks. your article contains some worthy information which i guess will help lot of people. Thanks, hopefully it has helped a few people. Is it mean that sitelinks can appear automatically in Google search engine result if Google ‘sees’ that a site has sitelinks? Hi Trimulyawan, this is exactly what happens – Google basically decides if showing Sitelinks is helpful or not to a search user, and will choose to display them or not. You cannot request to have Sitelinks added to your organic search result, however, if Google does indeed show them for your site you can opt to edit them within Google Webmaster Tools. Thanks for the article Sinead, very informative. I have started to go through my Google tools and use many of the tools now. Thanks for the great explanations as always! Great post, thanks for this I never knew that you could edit your sitelinks believe it or not. Some other awesome tips, bookmarked and tweeted this. Thanks. Thanks, Sinead. I’d noticed that these sitelinks are starting to appear more and more regularly in search results. Do you have to pay a premium for this or is it just down to the whim of google whether you get the benefits or not? Clicks on ads that contain Ad Sitelinks will cost you the same as if there were none, so no, you don’t pay a premium. If you read the article above, there is a detailed explanation of how to get Ad Sitelinks. Sinead, thanks for this information. This will help a lot – giving some pointers to everyone on ads and click throughs. Hi Stephanie, you should subscribe to the blog for more hints and tips on AdWords. Thanks so much I have been trying to figure out how to ad sitelinks to my adwords campaign all day long. I appreciate the tips and the help. sinead, I think you hit on something so very important – split testing. It’s amazing how many marketers don’t actually test their campaigns and then they wonder why their ads are not performing. You just pointed out the golden rule – always be testing. I wonder if things like this will become more important with the new algorithm changes. As mentioned above, natural sitelinks are indeed created automatically but only in the search results and not in your ads. Thanks for this tip. I am very optimistic it will boost my click-through rate. Thanks for sharing it. Hi Kingsley, glad you found the post helpful. Hi Joe, thanks for your kind words. Glad to see everyone is learning from these types of blog posts, I hope to do more in the near future. Thanks for this excellent information. I seriously have not seen this discussed in a better manner. Sitelinks would definitely improve your CTR, wasn’t sure how to do this until now. Delighted to hear that this post has been of help to you Louise. I’ve seen a noticeable improvement in traffic on my own site from the organic site links in Google. After reading your post I’m seriously considering a targeted Adwords campaign utilizing ad site-links. Let us know how you get on Alex. This things would be helpful for us. We need to bring traffic to our sites. It’s been a great pleasure for reading this technique in improving our marketing. Awesome post. Very informative. Thanks for posting this. Hi Shane, glad you found it informative. Very well written post. I had always been curious as to how exactly sitelinks worked, and this cleared everything up. Thank you Sinead! No problem, glad you found it helpful. Thanks for the article, I had not really given too much thought to sitelinks before. After reading your article I think I’ll start using webmaster tools a bit more to target my sitelinks to get the most out of my site. Hi Stephen – yeah Sitelinks in the SERPS are just as important as your titles and descriptions, but as I mentioned, you can’t add sitelinks for the google search results for your sites but can remove any you don’t want to appear. Thanks for sharing your information, I’ve never considered ad site links for increasing click through rates before! I’ll need to look into this more now on how to structure my site for them, as you mentioned it does give your search results more authority! I have to say, we got sitelinks on certain terms organically recently and theres been a definite increase in site traffic. We have put quite a bit of effort into our organic listings but I’m sure the sitelinks are a major contributing factor. Thanks for your comment, glad you found it helpful. If we includ sitelinks, it help users navigate to the right content on the page quickly, but it increased the likelihood that he left even faster. Sitelinks significantly reduced pageviews, had a negative impact. At the same time increase the bounce rate. What do you recommend? Ah wow, great post Sinead! Our website has just had sitelinks added into our Google SERP listing, and I was looking for ways to make the most of them. I hope my blog can be on first page serp so I can see whether there is a sitelink or not. With sitelink I can go directly to the page that I google for without have go to index and search for sitemap or categories. That is why I aggree with you Sinead, if you find what you are looking for there is a big chance that you will take action right away. And if you leave right away then, probably you don’t like the over or product and the page bounce rate going to be high. Very interesting, our site now has organic sitelinks but didnt know paid for versions were possible. Need to try this out. Thanks for the insight, great info. It is brilliant to track the sitelinks with AdWords. I am not too clear though as to whether this was your idea, Sinead, or Google’s suggestion. It would make sense for Google to mention this to their clients to not only cross-sell paid results and AdWords, but also because their paying clients deserve to get the most out of their investment. I think this will help me a great deal to increase traffic and page rank. Site Link makes it easier to find some relevant information. Thank you so much for this post, I had no idea what Ad Site links were until you explained this so simply. Interesting, I didn’t realize that it was so easy to ed/delete the sitelinks using google. Glad you found the blog post informative Jared. Thank you so much Sinead. I have always wondered how those links appeared below some search results. A very enjoyable read! You’re most welcome, glad it helped. I have been gathering as much info as possable about PPC for the bankruptcy attorney I work with and this is some very good key info! Thanks for the guide Sinead, we’ve just got the sitelinks up and running on our PPC- really happy with it! What a great post Sinead! I was always wondering how to setup these ad sitelinks, I think it’s a great way to also gain coming traffic trust, which turns incoming Google traffic to much more quality traffic! I’ve noticed these before but never understood how they were posted on google. This definitely seems like a good way to possibly gain more attentive eyeballs to your site. I implemented sitelinks and my click through rate popped. It works well. Great site Sinead. Amazing how many people are commenting. Titles and headlines are very important and often overlooked. I am only just getting my head around seo. These are some fantastic tips, Sinead! I’m so excited to implement these over here in the States. Thank you! Getting a high quality score and increased click through rate in PPC is crucially important to the success of your marketing campaign and the financial success of your enterprise –especially for those sites that don’t receive that much organic (free) search engine traffic, and have to rely more or exclusively on PPC. Your helpful and easy-to-follow post on ‘how to maximize your click-through rate and add more control to your landing pages using ad sitelinks’ addresses the subject matter quite adequately. Awesome guide! lucky enough to have come across this valuable information! Can’t wait to have my team implement many of these strategies. I should admit that this is pretty tricky idea but the worst part is that t only works for the paid results and the statistics is showing that the number of people who are actually clicking there is less than 10 %. Of course this will work great added to your adwords campaign. Fantastic Guide. Hopefully I can get my soon to no. 1 soon to implement them!